This ball is a beast! This ball is very smoth down the lanes until it hits dry. Great control of the mids... no loss of power. Matter of fact the core spins it up right before the pins. I had pins come out into the gutter! Awesome ball, hits harder than the Snaplock and has more angle. This ball will be asymmetric. 11 of 12 customers found this answer helpful. Did you? Yes | No Did you find this answer helpful? Yes | No Thanks for your feedback! Yes, your driller will drill it accordingly. This ball will be better for a faster rev rate. 5 of 6 customers found this answer helpful. Did you? Yes | No Did you find this answer helpful? Yes | No Thanks for your feedback! You can use either Powerhouse, VISE, or Black Magic cleaners for this ball. These are all universal cleaners for any kind of ball. The Hyper Cell Fused would be the replacement ball of the Hyper Cell Skid. The only difference between the two will be the performance level. The Storm Hy Road is a mid performance level and the Roto Grip Hyper Cell Fused is a high performance level, meaning it will be more aggressive than the Storm Hy Road. What type of core is in for the 12-13 pound ball? 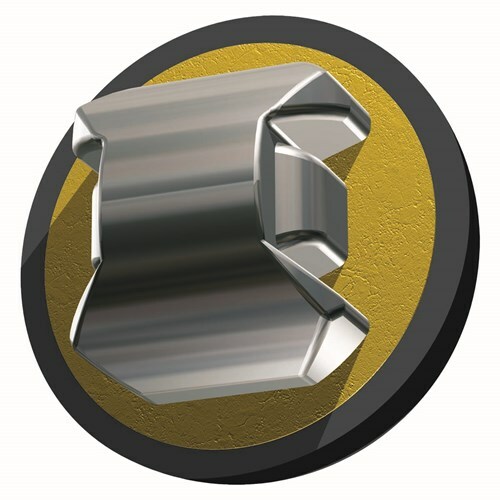 It will have a generic core. If I'm not used to a big Breaking ball will this take a while to get used to ? Yes, for this is a high performance ball and is mainly for more experienced bowlers. Would i be able to hook gutter to gutter with this ball? would I damage the performance if I polished this ball regularly ? No, you would not but you would need to clean it every now and then. Yes, just a little bit more aggressive than the Intense. Is the core for a 13lb ball the same as that of a 14lb? I've been told that anything lighter than 14lb changes core to something less reactive in some balls.. The 13lb will have a generic core and will be different than the 14lb. I throw a 14# ball between 15-16mph on medium oil lane conditions. Would the hyper cell fused be a better match than say the no rules pearl? The Hyper Cell Fused will be more aggressive than the No Rules Pearl, for it is a Hybrid reactive coverstock. How does this ball compare with the Code Black and the Code Red? They will be very similar in performance. Once it has been ordered, the free ground shipping usually takes 3-7 business days. The Mutant Cell will be more aggressive for it is a solid coverstock and the Hyper Cell Fused is a hybrid coverstock. How does the Hyper Cell Fused compare in performance to the Columbia Savage life and the Hammer Statement Pearl? The Savage Life and the Statement Pearl are both pearl covertocks meaning they will go longer than the Hyper Cell Fused for it is a hybrid coverstock. 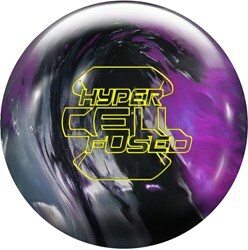 Due to the time it takes to produce the Roto Grip Hyper Cell Fused ball it will ship in immediately. We cannot ship this ball outside the United States.